Bringing information that touches your heart, lifts your spirit, exposes your strength and bridges the relationship between you and your children…FOREVER!! 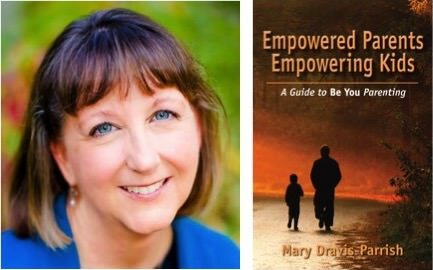 Our guest today, Mary Dravis-Parrish, has equipped hundreds of parents and children with her simple strategies that have empowered families to thrive, have less chaos and more confidence. Applying her BE YOU parenting strategies, training, and tools, she facilitates change in people's lives, so they have more confidence, awareness, joy, and fun in all areas of living. She has over 25 years of experience as an educator, trainer, empowerment family and life coach, speaker, and a certified Access Consciousness® facilitator. She is the owner and practitioner of Simple Strategies for Family Living. Join us in our "HARMONIOUS FAMILY BLUEPRINT: The On-line 3-Month Program That Will Forever Change Your Family”. You will learn how to create a system and foundation that will bring more harmony, happiness, and excitement as well as instill boundaries, balance, and values to the family unit. Email us at Info@IntegrativeMinds.com for a private complimentary interview. Our show can be heard on Itunes, Google Play, Stitcher, MissionsRadio.org, and LiveLeadPlay.com.